This is my set from the main stage at Equinox 2015 – starting with some warm dubby afternoon vibes and building from there. 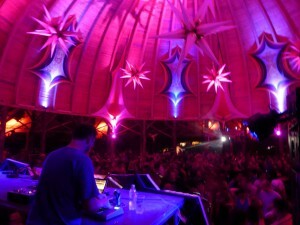 A recording of my set in the Ozora festival chill dome this summer – the crowd was fantastic and really kept the energy going the whole way through! I played the second set at this event, after jon sangita had worked up the crowd with his patented blend of goodness, and had a lot of fun with some recent purchases. this was another excellent night at inspiral with jon sangita. we had a really nice crowd and some good energy on the dancefloor, quite welcome on a cold and rainy january night. I went back to the mountains of western north carolina once again for a lovely weekend in the woods at the 10th annual TOUCH Samadhi fall festival. As I’ve played at the event every year since the first, it is always quite a special weekend for me. This year I played two sets, one on the main stage during a gray and rainy afternoon and one on the second ‘pond’ stage under a clear starry sky – you can find both sets below to stream or download. i returned to hungary for another amazing week in the hills of Ozora – this time playing a slightly more energetic set, following celt islam. this was quite a lot of fun for me and the crowd was really enjoying it, though as usual i did forget to hit record until i was mixing out of the first track (which shall remain a mystery). a recording from a wonderful evening at the inspiral lounge, exploring the deep psychedelic side of dubstep and bass music with Aliji. fantastic warm vibes on a chilly winter night! During a trip to California, I was invited to close out a harvest celebration in Willits, CA – at the center of Mendocino county. 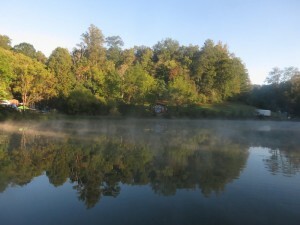 The event was incredible – great sound, great people, and a really nice location in the woods. a return to the lovely mountains of north carolina for a reunion with many friends and family in one of my all-time favorite party locations…i played a set saturday in the late afternoon, enjoying the clear skies and sunshine, and giving the masses a bit of a break from the psytrance. as always, i had a fantastic time and came away re-energized and ready to deal with the upcoming london winter.